According to a 2016 McKinsey report, unmanned aerial vehicles (UAVs), commonly referred to as drones, will dramatically improve the accuracy and speed at which construction projects are completed in the near future. Like flat screen TV’s, a dramatic decrease in the manufacturing cost of technology has dropped the prices of professional grade drones for construction, complete with mountable, lightweight HD cameras and other survey equipment to as little as $700. This technology investment alone can dramatically improve surveys, site visibility, progress reporting, and inspection processes. Win more business. Drone photography can be an important sales tool. Your improved surveying and planning capabilities will also set you apart from the competition. Improve owner’s visibility. Use drone photography to help owners visualize the final project, and see how the project is progressing while under construction. Iterate faster during the bid phase. 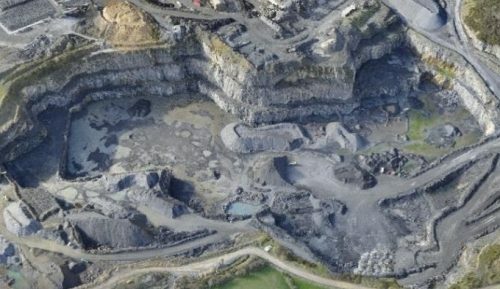 Drone surveys can help you put the virtual design in the context of real conditions and thus better engage the entire team. Instill client confidence. All of the above benefits help you build client confidence. Improve asset and material management. Drones equipped with streaming video capability can help you monitor the job site for suspicious activity, and identify theft as it’s happening. Plus, your teams can easily monitor locations and quantities of assets and materials at a glance, to ensure it will be there when you need it. Improve invoicing accuracy. Drones enable you to monitor work completion more effectively, and bill accordingly. Improve quality. Drones vastly increase your ability to complete quality inspections in large and hard to reach areas in an efficient manner. Minimize rework. Increasing the number of inspections you make enables you to catch more mistakes before they become a bigger problem, thus reducing the amount of rework needed. Improve safety. Perform inspections in dangerous areas without putting anyone at risk. 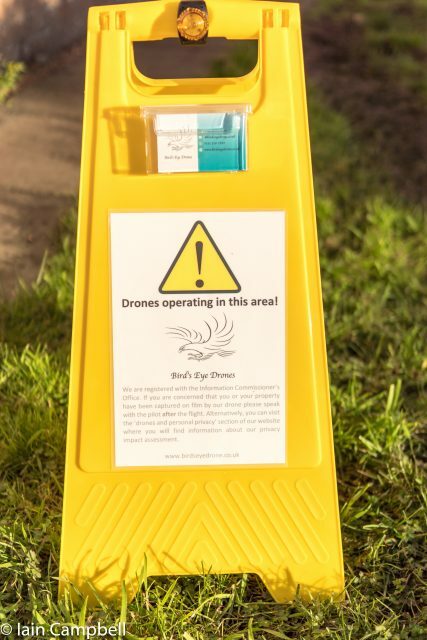 Drones also allow you to identify and mitigate potential hazards before they cause harm. Mitigate litigation. Drones can increase site documentation to reduce the likelihood of litigation and increase your defensibility. A drone program is a terrific investment for construction companies right now. They can be used through the entire construction lifecycle, from feasibility and bidding to handover and maintenance. Here’s how. 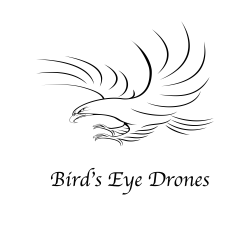 Drones can be equipped with cameras, geo-location sensors, infrared sensors, and more. The data can then be imported into survey software to create 3D models of existing conditions. This helps with determining feasibility, understanding constructability, and helping owners visualize what the project will look like in the end. It can also be used to identify areas of risk. Drone surveys help inject real-world conditions into design and constructability conversations. The ability to easily capture site information also improves the rate at which the design can be iterated on. During the construction phase, drones have many current and potential uses. They help to track and communicate progress, track and manage materials and assets, reduce theft, improve owner visibility, increase safety, and provide valuable information for improving design changes. They also create a valuable documentation trail in case of problems. Drone imagery and video of the final product can create customer delight during handover. This data also has a practical value in property management and maintenance, providing owners and managers with visual data regarding the as-built condition of the building. Additionally, drones equipped with thermal imaging capability can detect heat leaks in a building envelope or along a long run of underground utility piping. While the immediate cost of owning a drone has decreased substantially, the cost does not end with the purchase. It’s important to also consider the costs of accessories, use, and maintenance. There is additional equipment to be purchased, planning and setup considerations, maintenance, liability, and regulations to consider. Additionally, the cost of operator headcount must be considered. 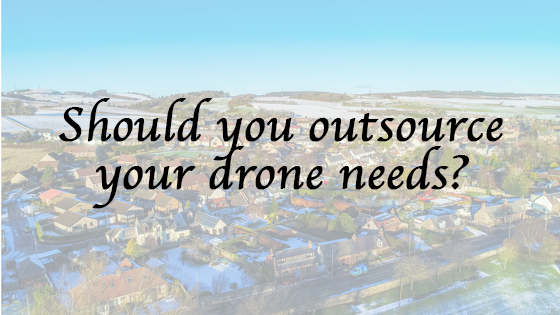 Some companies find that outsourcing their drone operation provides a better outcome. When making the decision, the three key considerations should be cost, liability, and resource capacity. Whichever you decide, it’s important to ensure that your team owns the process. These options have to do with how the drone itself gets and stays in the air. If it has fixed wings, it will operate much like an aeroplane, whereas a VTOL will operate more like a helicopter. In most cases, the power is provided by a battery, and flight time is limited by battery life. A tethered VTOL remains connected to a grounded power source via a “tether,” and thus provides unlimited flight time. Fixed wings are more expensive but provide faster and farther flight. However, they cannot hover, which can limit their inspection capabilities. VTOLs are better for detailed inspections, due to their ability to hover in place, but they will have a shorter range overall. Payload refers to what the drone can carry. Payload is critically important because it will determine the weight and size of equipment you can attach to your drone, which is why it’s a good idea to decide on your equipment before you purchase your drone. Obviously, this feature will impact how you can use your drone on the job site. 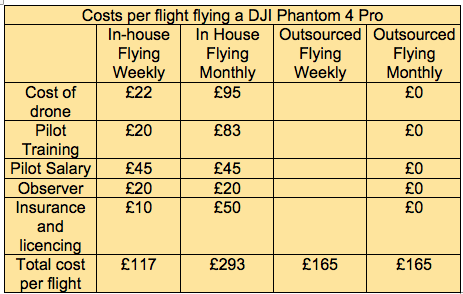 Longer battery life and flight time gives you greater flexibility, but will generally cost more on the front end. Balance your needs against your investment. Range refers to the distance over which a drone can operate as measured from its operator. Maneuverability refers to its ability to move quickly in any direction. Both are impacted by the type of drone (fixed wing versus VTOL), as well as other factors. Maneuverability is important on small sites with hard to reach areas, while range is important for exploring large areas such as on an infrastructure project. While the drones get all the glory, it’s the equipment that makes them more than just a hobbyist’s entertainment. And there are so many choices! It pays to research your equipment option before purchasing your drone, to ensure the drone you choose is compatible with the equipment you need. Regulations for commercial drone regulation are evolving quickly. In the US, the relevant authority is the Federal Aviation Administration (FAA) and in the UK, the Civil Aviation Authority (CAA). You can review the latest FAA rules here, and the CAA rules here. Other countries may have their own regulations. From an article published in Connect and Construct.